Shortly after my little man was born, I came across this quote by Thoreau. 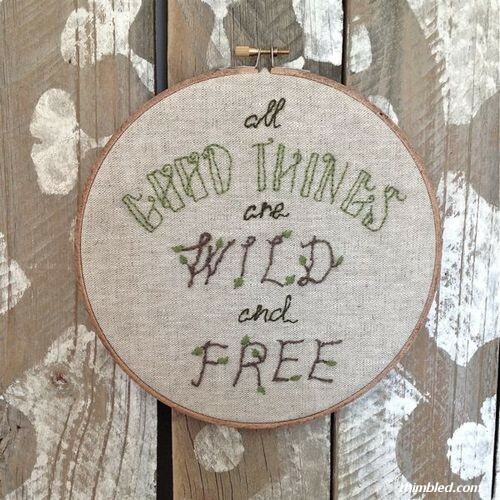 Or maybe I just realized how perfect it was for my wild one. I had been wanting to do something with twiggy type letters and leaves. I put a special little message on the back of this one in embroidery and the original is in his room. I had also been wanting to something girly. I am surrounded by 2 boys day in and day out. And, while I love trains and trucks and don't mind getting dirty, sometimes you just need a girl day or a bow or both! 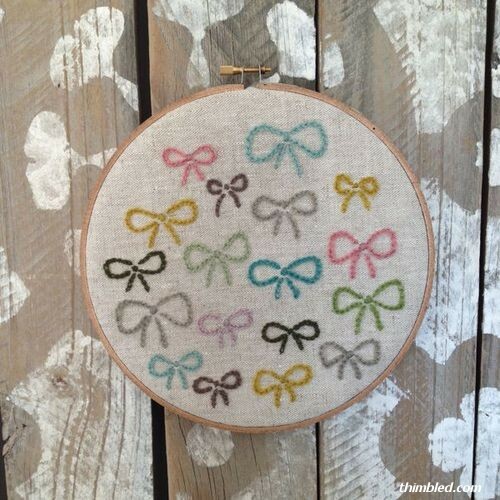 I had fun choosing the colors and embroidering various sized bows. I hope to have a sort of ongoing project up soon... I am almost finished choosing the stitches and making the patterns. And, maybe my scarf will be finished and presentable too!